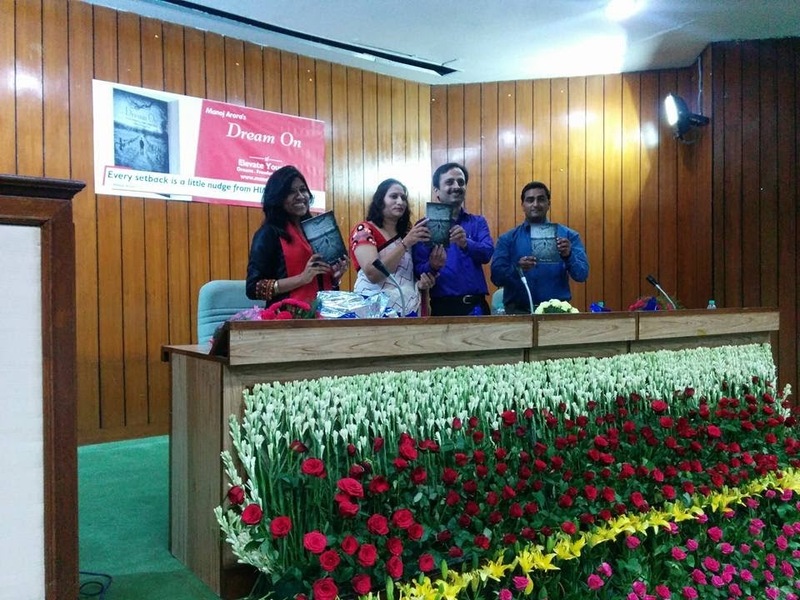 The Book Launch for DREAM ON was done at the just concluded Delhi Book Fair on Saturday, 5th September 2015 from 4:30PM to 6:00PM IST. In an auditorium packed with dreamers, there was excitement and vibrancy all around as multiple guest speakers shared their own experiences of handling setbacks and dreaming on. We were fortunate to have two guest speakers for the launch. A fruit vendor barely able to make his ends meet, Mr Ram Lal dared to scale Mount Everest in 2013 and plans to be the first Indian in 2016 to achieve this feat from both Nepal and China side. That he also happened to be a National Level Shooter should not surprise you. He also plans to conquer the highest peaks across all 7 continents in the world. Stuck in a corporate rat race and a comfort zone of life, she was eager to do something extraordinary in her life. Having been forced to quit running, she took up cycling and went on to be the only Indian to have cycled 1,111 Km outside India. She has grand plans going forward and is dreaming on. This book is for all the failures, because we believe there is nothing called as a failure. This book is for all achievers, because we believe that you cannot rest on your laurels and that the bliss is in the 'process' of achieving. This book is for anyone looking out to break the rat race of earning money, because we believe that it is time, and not money, which is our most important asset. This book is for people wanting to chase their passion, because we believe that it is impossible to lead an extraordinary life unless you are chasing your passion. This book is for all those who are yet to discover their purpose of existence on this planet, because we believe that passion alone is not enough, and that it needs to be channelised into a mission. This book is for all those who are seeking divine help, because we believe that HE is there with us - all the time, guiding us, nudging us, helping us - to course correct our path. This book is for those who are in a comfort zone in life, because we believe that if you are not growing, you are only degenerating. Comfort Zone is just another name for degeneration. This book is for all those facing negative situations in life, because we believe that every negative situation has to have an equivalent positive side. It is just that we need to learn to flip the side and look at the other side. 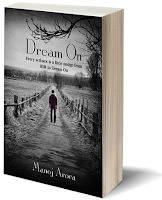 This book is for all those who want to learn how to dream, because the characters of this book will prove to you that if the dream is big enough, facts do not count. This book is for every human being on this planet because each and everyone of us is unique, and that we have been granted a unique mission. We need to discover it, and then chase it. Come, be a part of the journey with Rahul, who is a school failure, and gets inspired to dream on. One setback after another, he experiences that setbacks are God's way of interacting with him, to course correct his path and lead him towards the discovery of his mission of life. Where to buy the book from? The book is now available across India in paperback, ebook and Kindle editions at all major online retail stores. You can visit www.manoj-arora.com for all details. 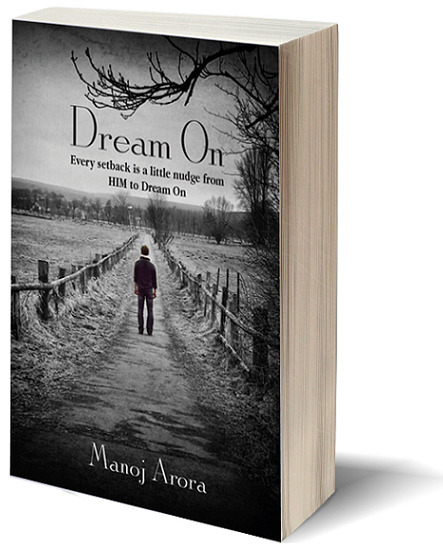 Select the book and then you can choose the online retailer from whom you wish to buy your copy. Are there any reviews of the book yet? 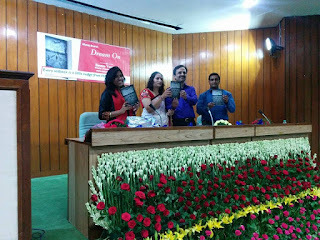 Yes, the beta version of the book was shared with some selected people, and the initial reviews were stupendous.